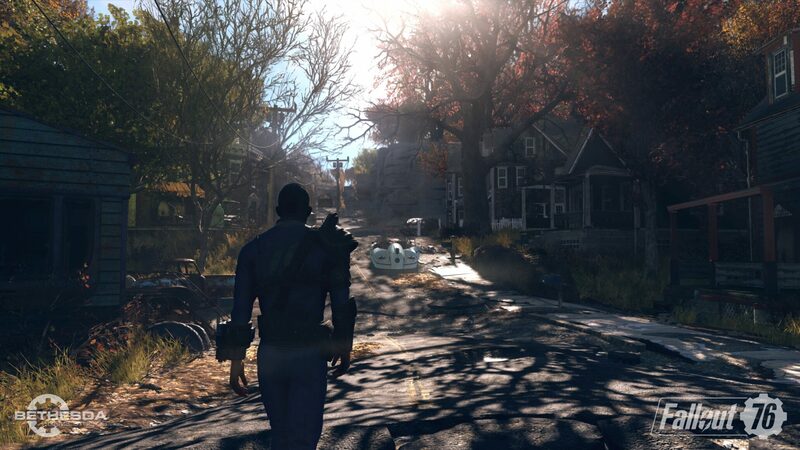 Fallout 76 is going to be a much different game than Fallout 3 and Fallout 4 being an online game, but it seems like some of the series’ staples will still be in, especially in regards to quests. The latest issue of Game Informer includes plenty of new information on Fallout 76. It’s been reiterated that the world will be 4 times bigger than the Fallout 4 world and that the map will be divided into 6 zones, and areas within these zones will spawn monsters of certain level ranges, so players will have difficulty heading into them at low levels. More details on the gameplay experience have also emerged. Fallout 76 will feature a number of colorful NPCs that players will grow fond of, and quests will drive the game. The Overseer quest will be long, and players will also be able to take on a variety of side quests, with many of them being nonlinear. Building has also received some additional details. Apparently, there will be equipment that will automate resource harvesting. Settlements can also be connected to make a larger settlement. Building can also be done by teams, which should speed up the process considerably. In the same Game Informer article, it’s also been confirmed that development is almost done. The game is pretty much content complete, as the team is focusing on fine-tuning and bug fixing.